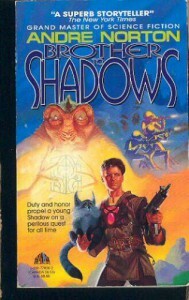 Pretty typical Norton SF: Alienated youths, mental links with animals, Zacathans, the Patrol, the Guild and its Veeps. But there's no "spark" animating the material. Definitely only for the Norton completist in the family. If you want to understand why she's a Grandmaster, sample the Solar Queen or The Witch World novels.